Bring the whole family for fun, music, food, and information! can travel 420 miles on a sunny day, creates TWICE as much energy as it uses, and was winner of last year's World Solar Challenge. The university students who built her will explain the technology – both electric power and solar - at the 2:00 Program. Stella will arrive in Venice, CA to kick off National Drive Electric Week. She will drive up Highway 1 with a brief stop in Carmel, then go to Cupertino for the Saturday, Sept 20th Electric Auto Association of Silicon Valley's 42nd EV Rally where organizers are attempting to break the Guinness World Record for the most EVs assembled. Next day, Sun, Sept 21st we will have the pleasure of Stella at the Monterey Bay event in Capitola, Santa Cruz County. 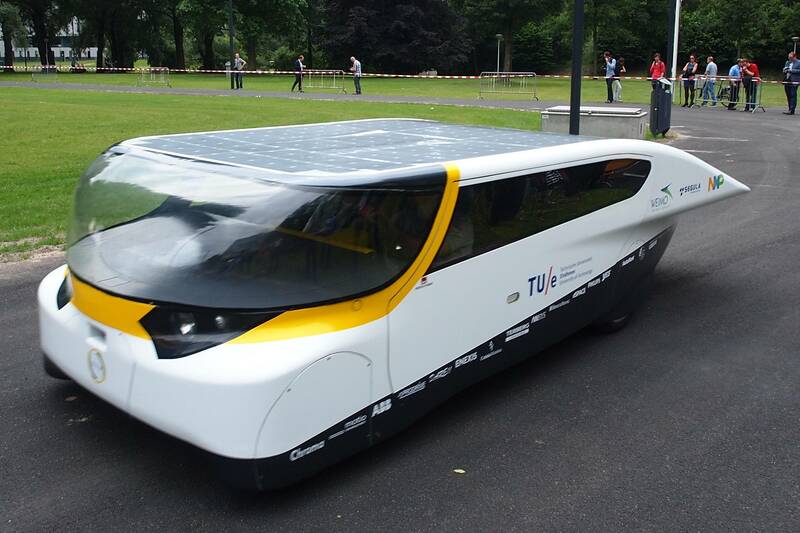 Along the way, Stella will visit with the Stanford solar car team, the California State Government in Sacramento and end in San Francisco with the Consulate General of the Netherlands on Monday, Sept 22 for a Media Event. Registered attendees report 174,728 electric miles driven.